Hollywood Studios Moonlight Magic Reservations Reopen - DVCNews.com - The essential Disney Vacation Club resource! Effective 9:00am on Thursday, September 13, Disney Vacation Club members can book any remaining slots for the Disney's Hollywood Studios Moonlight Magic events this September and October. On September 19 & 26 and October 3, 2018, Disney Vacation Club will host Moonlight Magic gatherings at Disney's Hollywood Studios. Members with Walt Disney World resort reservations on the evening of an event could begin registering for the events back on August 30. Now they are set to open to all owners. The events are free to qualifying DVC members and their guests. The park will be available exclusively to registered participants from 9:00pm to midnight. Attractions will include Twilight Zone Tower of Terror, Rock N Rollercoaster Starring Aerosmith, Star Tours and more. Attractions in the new Toy Story Land will also be available to attendees. Each event will also feature complimentary refreshments, a DJ dance party and unique character meet opportunities. Transportation to and from Disney resorts is provided. Additional details can be found in our prior coverage. Group size is limited to the DVC member plus up to 5 guests, or their full hotel party, whichever is larger. Attendance is limited and walk-ups will not be permitted. When the events previously opened to hotel guests, both dates were filled within a few hours’ time. DVC claims that some spaces have been held back for this second booking window, but they are not expected to last long. Note that members may only attend one Moonlight Magic event per theme park. For additional details or to register, visit the Disney event registration website. 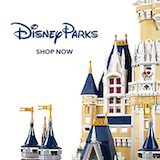 Disney Vacation Club merchandise now available at ShopDisney.com!